First time making one of these, let me know if there are any glitches or bad errors that I missed. This is just the IMG file so just unzip and place in your IMG folder to use. but the download button doesn't work? any help? 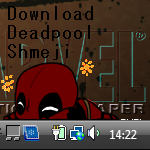 Guys, you have to have Shimeji downloaded prior. When you do go to those files and put the Wendy images under the stock one. Then run it. It should work. Hello. I found this while wandering and it looks adorable! I already have the shimeji-ee thing, but I don't know how to actually make it play to where I can interact and have her on my desktop and all. any advise to how to get it to work? thanks! I am so stupid I couldn't even find the download button. Luckily, I did. how do you start da program? Adorable Wendy! This is the first Shemeji I've installed so thank you for introducing me to them. Anybody know where the download is or did they just take it down and it is no longer available? The download is a zip file on the right side. You need Shimeji installed prior. Download Wendy and unzip, take the image flies/folder and copy or move them into the shimeji img folder. Start the program and select Wendy. Comments say no comments. Look in comments: tons of comments. How do I get it to work? Is there supposed to be a Java file? It works! their very adorable, thank you! had to fix something with the walking textures, so I used a different pic and renamed it. But other than that it is so kawaii! 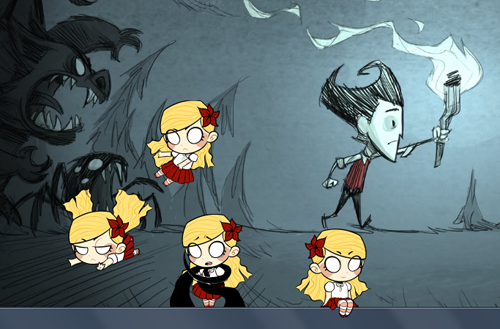 First Don't Starve Shimeji I've ever seen and I love her! She's so cute, and I haven't found anything wrong yet! Thank you for Wendy! how do I put them on my desktop? I'm actually confused how to use it, I'm sorry. What is in my download is the Wendy IMG file folder, just unzip it and place it inside the IMG folder in the Shimeji folder. 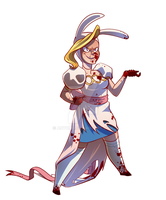 Then launch the program and select Wendy and she will be walking along your desktop in no time.